GB Assessment – Who is invited? Boxers, typically over 18 years old who have had significant success at either world or domestic level, over the past 12 months. GB Assessment – What are the invitation criteria? Wales – Welsh National Champion or nomination by Welsh Boxing for GB Programme assessment. When are the GB Assessments? The main assessments are in December to accommodate the competition programmes of all the Home Nations. In addition to these assessments, GB Boxing hosts Wildcard assessments that are held throughout the year for boxers scouted by GB Boxing. During the assessment weekends, your performance will be evaluated against an assessment framework and then following a selection meeting held by the GB Boxing coaches and selectors and if you have met the required standards you may be invited to take up a place in the GB Podium Potential Programme. What are boxers assessed on? 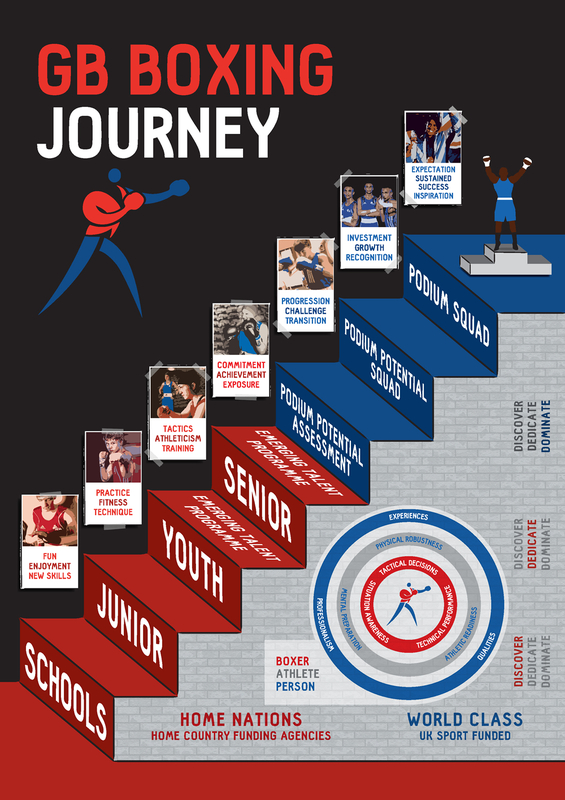 There is an assessment framework that has been developed by GB Boxing that allows coaches to identify the physical, technical, tactical and behavioural characteristics that are needed to be a world-class boxer.